I’m really going to town with the Valentine’s Day posts aren’t I? I think this one is my fourth. After tomorrow I’ll stop, I promise. 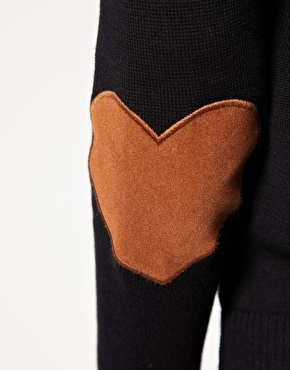 But in the meantime let me show you this jumper with heart elbow patches by ASOS. I like the black version with the brown elbow patches as it’s quite subtle and you may not notice that they’re hearts straight away. It’s pure cotton and £35. The cream version with the pink elbow patches I think is a little too much. Although I just had another look and it could grow on me. What do you think?